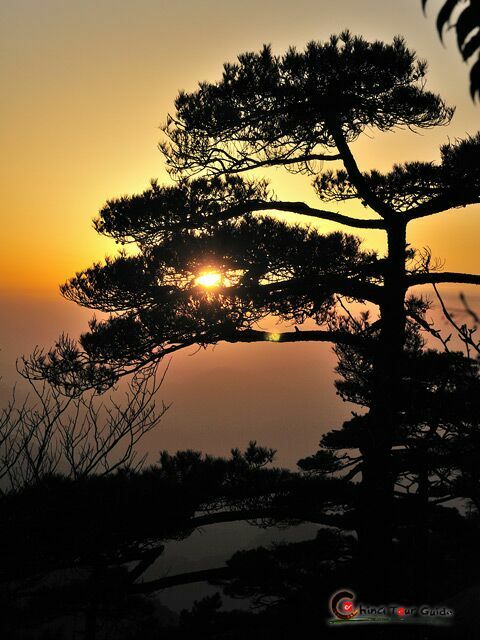 The West Sea Grand Canyon, also known as Xihai Grand Canyon, is the most beautiful and untouched scenic zone of Mt. 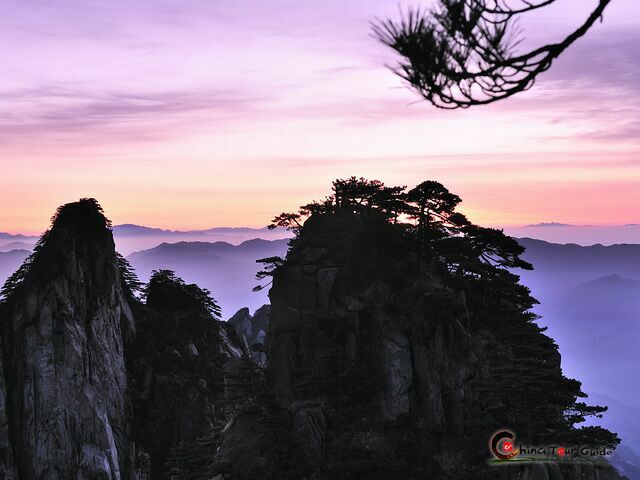 Huangshan and a perfect destination for avid hikers. This scenic area was opened to the public in 2001 and remains pure and unspoiled. A popular hiking route takes visitors in a circle around West Sea Grand Canyon. 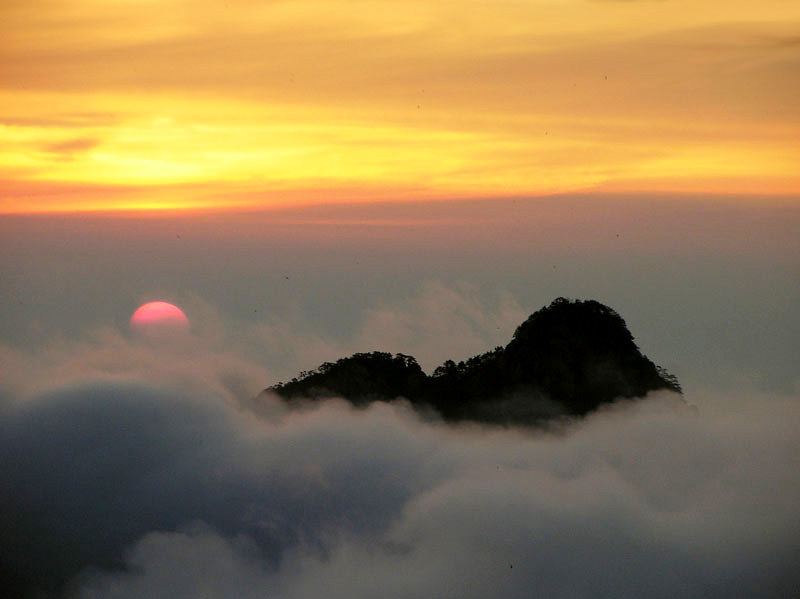 Starting from the Cloud-Dispelling Pavilion, visitors will go through the White Cloud Area at Fairy-Walking Bridge and finally reach the Heavenly Sea Area. This challenging outdoor adventure offers plenty of sightseeing and photo ops. Hikers are recommended to stay overnight at a hotel on Mt. 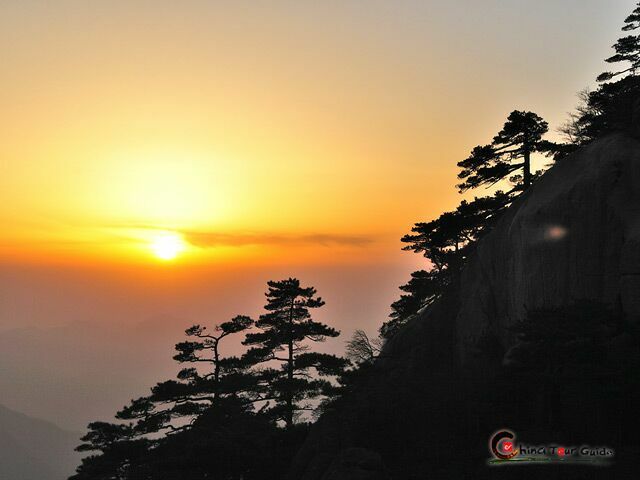 Huangshan and get up early in the morning to catch the breath-taking sunrise from the Sea of Cloud before their journey starts. It's well worth sacrificing a bit of sleep. The West Sea Grand Canyon is renowned for its mysterious landscape with flowing clouds, ancient pine trees, steep mountains, and unique rock formations. 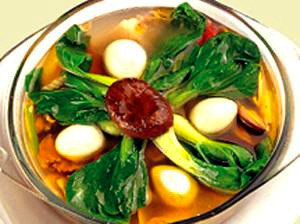 This seeming fairyland is nick-named "the Magic Scenic Area". 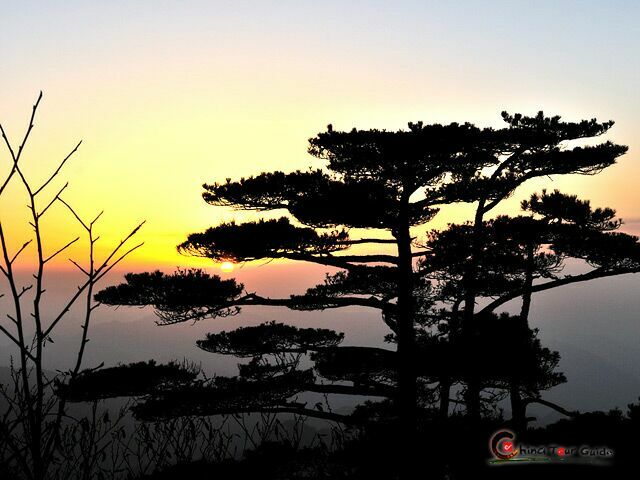 Pine trees dating back hundreds of years sprout forth from rock crevices and grow in all kinds of shapes and sizes. Though in the poor rocky soil trees cannot grow tall and straight like most forests, here in the Canyon after centuries of wind and rain, these long-standing pines take on a distinctive posture like living sculptures. 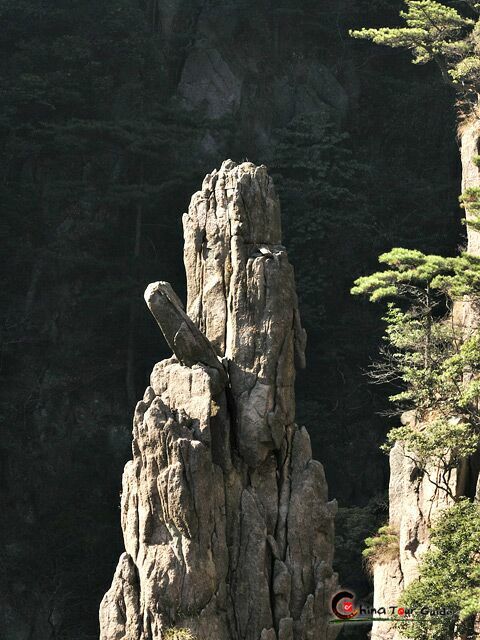 The rock formations are also of bizarre forms due to the same reason. Some of the more famous formations include: Dog Watching Sky, Lady Playing Piano, Upside-down Boot and Man Walking on Stilts. The front range of Mt. 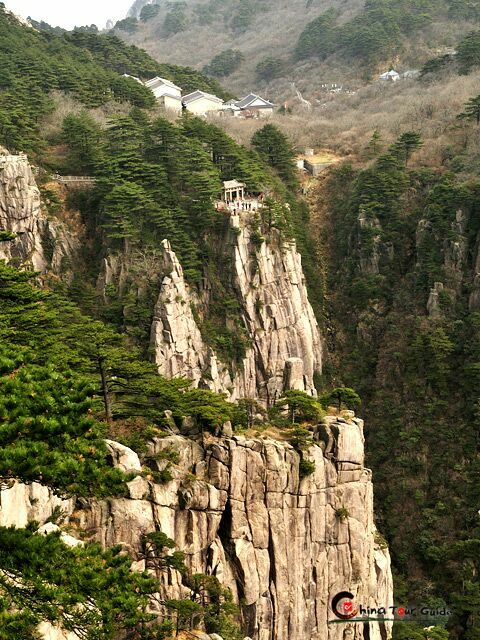 Huangshan is distinguished by its loftiness and grandness, while West Sea Grand Canyon was by its steepness and danger. Continuous mountains join each other and expand far into the remote horizon. Wherever you go, you are as if in a land of magnificent sceneries. 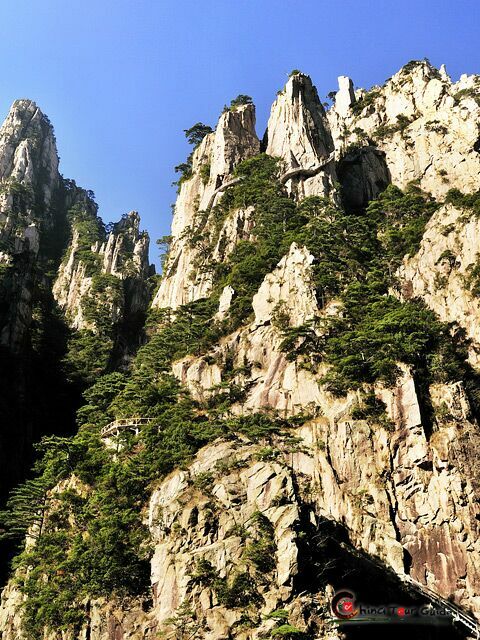 The mountains of West Sea Grand Canyon are all of ruggedness, with grandeur and miraculous sceneries all around. 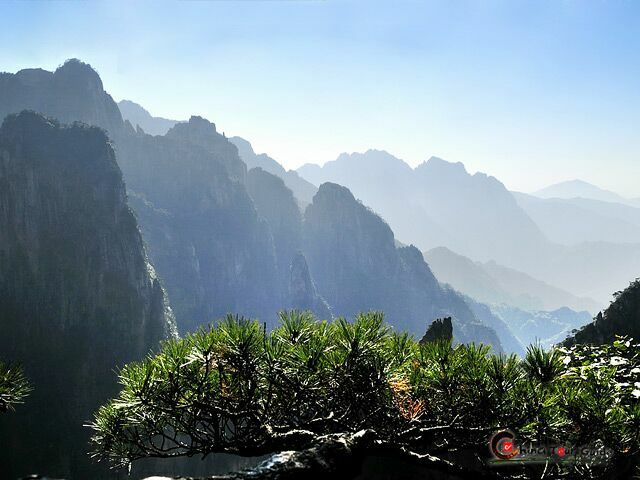 A 4.5 km (2.8 miles) trail penetrates deep into the valley, revealing breath-taking views at every turn. 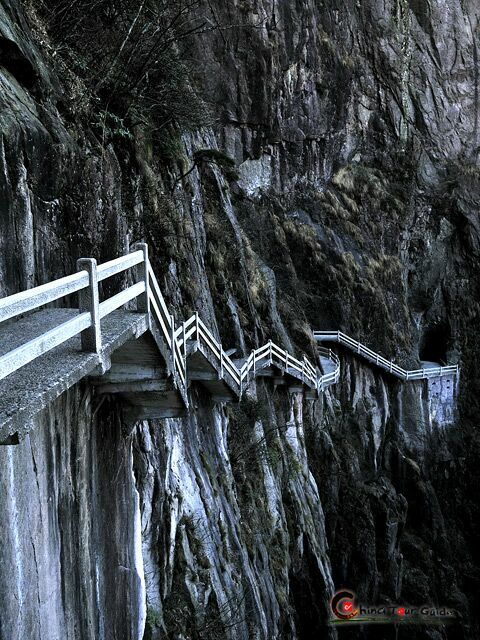 It is a journey of exploration and adventure walking though the narrow path hanging in the air above the bottomless abyss, with cliffs and peaks all around. 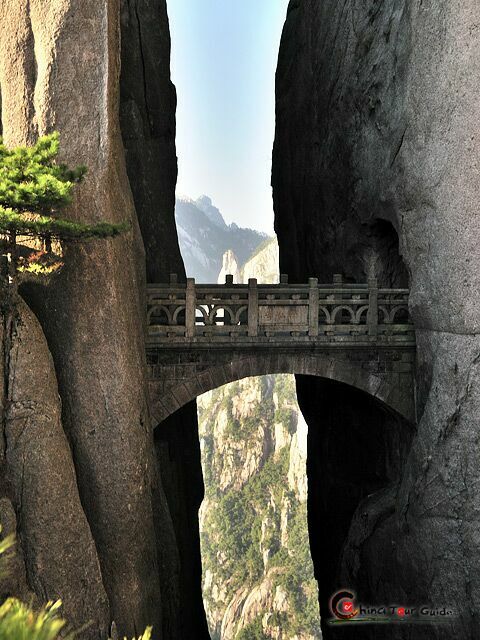 The Fairy-Walking Bridge is a very distinctive bridge of 6-7m (19.7-23 ft) width and was built between two cliffs, interestingly forming a letter "H". The hanging bridge is literally a cool place to hang out as the refreshing wind blows through the canyon and recharges your energy for the rest of the hike. When crossing, timid persons should probably heed the popular warning, "don't look down." 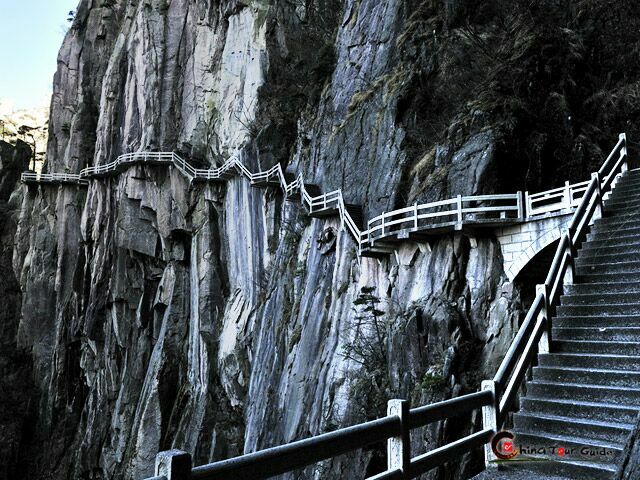 The 3 km (1.86 miles) long climb up the steps leading from the bridge will take you through the White Clouds Area to the Heavenly Sea Area. There is no doubt it is a difficult trek, but it is definitely a rewarding activity and well worth the effort. 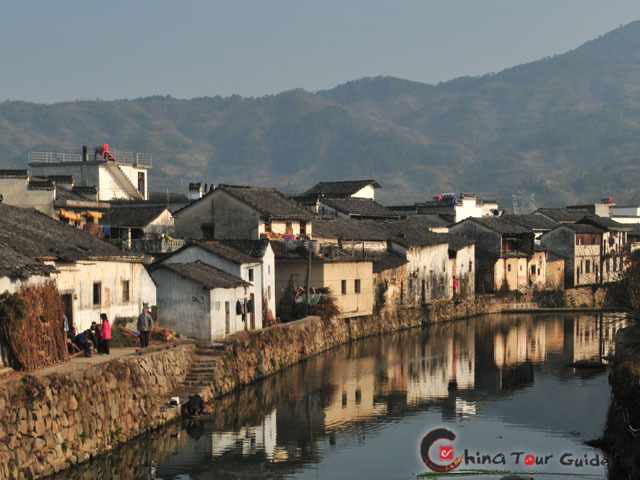 This spectacular hiking route is recommended for energetic tourists, while a better option for those who are not used to strenuous activity would be walking a small section of it rather than missing it altogether.